In recent years the use of fuzzy clustering techniques in medical diagnosis is increasing steadily, because of the effectiveness of fuzzy clustering techniques in recognizing the systems in the medical database to help medical experts in diagnosing diseases. This study focuses on clustering lung cancer dataset into three types of cancers which are leading cause of cancer death in the world. This paper invents effective fuzzy clustering techniques by incorporating hyper tangent kernel function, and entropy methods for analyzing the Lung Cancer database to assist physician in diagnosing lung cancer. 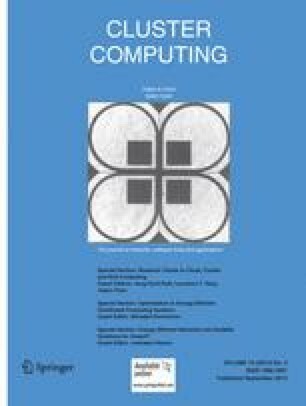 Further this paper proposes an algorithm to initialize the cluster centers to speed up the process of the algorithms. The effectiveness of the proposed methods has been proved through the experimental works on synthetic dataset, Wine dataset and IRIS dataset in terms of running time, number of iterations, visual segmentation effects and clustering accuracy. And then this paper proposes the proposed method on Lung cancer database to divide it into three types of lung cancers. In addition this paper proves the superiority of the proposed methods by comparing the obtained classes with reference classes through Error Matrix. This work was financially support by UGC MRP, India (Ref. No. 39-35/2010(SR)).